Chocolate &almonds are a wonderful combo and when its laced with rum/coffee it makes all the more heavenly. 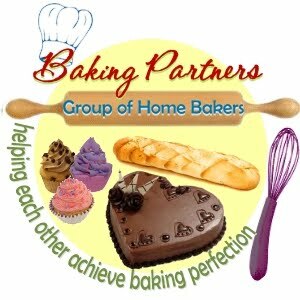 The Baking Partners choice of recipe for the month is Julia Child's Chocolate Almond Cake with Chocolate Icing. Swathi promptly sent us the recipe - well researched with detailed instructions to guide a first time baker.